Ballpoint pen, 2×3 inch sketchbook, iPhone camera, Snapseed Grunge. 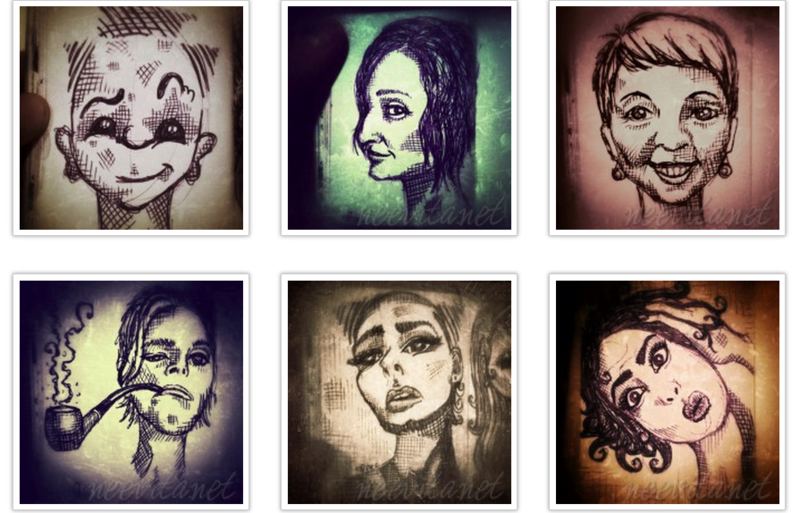 I googled “How to draw facial expressions” and came to Dani Jone’s/ awesome blog post. This was the immediate result of having sketched a few of her expressions there. Thank you so much Dani for sharing your art and your process! It helped me so much!